May your day be brillish! I have always thought of ‘brillig’ as ‘bright’ or sunny’ – but it sounded too harsh for my liking. 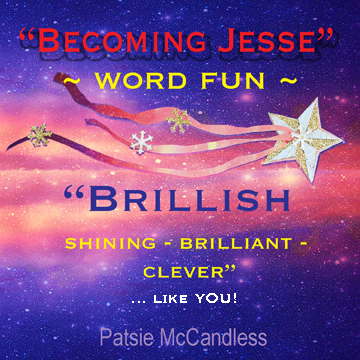 So for “Dearie’s Dictionary” in Becoming Jesse, I changed it to ‘brillish’ – shining, brilliant! clever! like YOU!